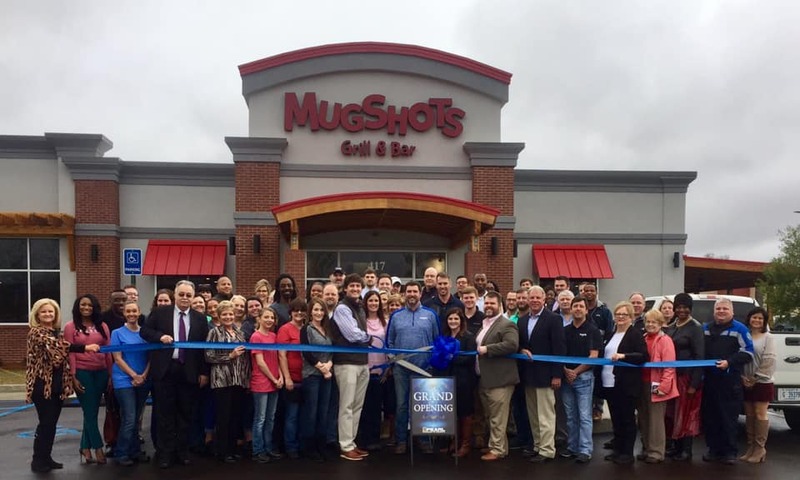 The Pearl Chamber of Commerce held a Grand Opening & Ribbon Cutting Ceremony on Wednesday January 23rd at Mugshots Grill & Bar - Pearl, MS located at 417 Riverwind Drive. Mugshots has 35 televisions so you’ll never miss a game and even though they are well known for their popular burgers, they also offer a menu full of delicious appetizers, sandwiches, pasta and salads. Mugshots has a full bar and a large variety of draft and bottled beer. Mugshots was recently voted Best Hamburger in Rankin County at the Rankin’s Red Carpet Best of the Best Gala. Shown cutting the ribbon are owners and brothers Hunter and Cliff Russum.